CD Baby is the largest online distributor of independent music. CD Baby is very much a company that is run BY musicians FOR musicians. The company has paid over $157 million directly to artists. It is the record store where you can discover your next favorite artist. 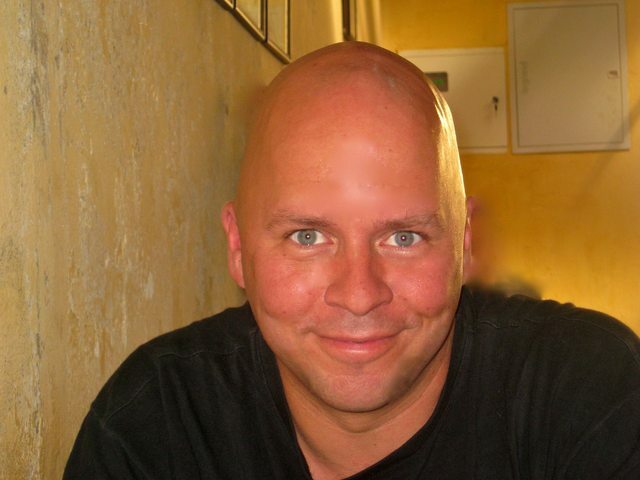 Derek Sivers is the man behind CD Baby. He started it more than a decade ago as a one man operation in a garage. Derek sold the company in 2008 for a considerable sum and donated most of it to a charitable trust that he created - The Independent Musician s Charitable Trust . Nithya: CD Baby is widely known for its customer love and awesome support. It'll be great if you can share details on how you brought that about. Derek: Sure, I would love to; I have no secrets! Nithya: I understand that you had an entire team for Customer Support in CD Baby. When was the first time you felt the need to hire somebody for support? Derek: It was about one year into the company when I hired my fist customer service employee. Till that point I was managing everything on my own. Initially, I would spend close to 3 or 4 hours everyday doing support. I hired at a point when I was doing customer service full-time. Nithya: How many emails were you handling in a day? Derek: Probably between one hundred and two hundred. Derek: I had no other life. I worked from 7 am to midnight with 6-8 hours spent in answering customers mails. Nithya: Did you move away from support after you hired or you were still handling it along with that employee? Derek: I almost moved out. I still got myself involved occasionally to see what my customers were asking for or help my team with tech questions. CD baby grew big pretty fast - with 85 employees at its peak. Out of the 85, 30 were only doing support - answering calls and replying to mails. Nithya: 30 out of 85 employees just doing support? **Derek: **Yeah, and they were my best people. People loved us over Amazon or any other service because we were very accessible. If anybody ever called our number, it would be picked up in less than 2 rings with a friendly voice answering, CD Baby . From 7 am to 10 pm, there was always somebody to pick up a call in 2 rings. No voice mail system; no routing to different departments. We treated our customers like our best friends. You don t route your best friend s call to an automated system! Derek: Also, I used to request all my employees to intentionally take a little longer on customers calls. I would ask them to pull up customers albums and catalogues; have a look at their pictures and gears - to learn a bit about them. Since most of the people working for CD Baby were musicians themselves, when customers called in to narrate their problems, the person on the phone would say, Is that a Les Paul? Oh, let me listen to your music. Oh, you guys are doing a James Brown Punk thing. It s pretty cool! and then say, What can I help you with? Imagine how powerful it is for a customer to know that he is listening to somebody who is a musician that gets him, than something like, Thank you customer 4325. How may I quickly handle your problem? . Nithya: It is powerful because it is so human. The irony is most big corporations measure quality by checking how quickly an agent can close a customer call. Longer the call, lower the quality score. Derek: Big corporations don t care about keeping their customers happy. For them, every call is a sales transaction. Nithya: That s true. As I see it, you have put in a lot of effort into keeping your customer experience nice and personal. Has it happened that in-spite of this people complained. Derek: There s a wonderful rule which is slightly related. It goes like this: If more than 50% of your customers are saying that your price is too high, then your price is too high; but, if less than 20% of your customers are saying your price is too high, then your price is actually too low. The point here is, 20% of people will always complain, no matter what. Though that was about pricing and not support, it s the same logic here too. Some people will always complain. Nithya: Have you had to deal with real angry customers? Derek: Sometimes. But, I got really really lucky that the very first guy that I ever hired was so naturally patient that he could handle some customers that even I couldn t. He was so good at dealing with hysterical people that he could get on the phone with them and let them vent all their anger. After 20 mts of yelling , so many times, people would get back to say, I am sorry. I thank you so much for listening to me. I am sorry if I had not been nice. It s been a really frustrating day." Nithya: That s commendable. But I am wondering how you managed to get your employees to feel passionate about your customers. What s their motivation? Derek: I never had to motivate employees because most of my employees were my customers. We have hired passionate customers that said, I love you guys so much. If you are ever hiring, let me know because I am your biggest fan . I only hired people that really understood what it was like to be a musician; how difficult it is to pour one s heart into music and try to get people to listen to it. Every time we had to hire, I would ask my employees if they knew someone that could do the job. If indeed there was someone, I would say, Is she cool? Ask her to start tomorrow . It was kind of self selecting and it worked very well. Also, I tell my employees that our mission is to not only solve the problem if somebody called with a problem, but to make sure they actually go back smiling. I tended to hire people that had a good sense of humor and asked them to bring that out in their emails. They would not only solve the problem but also find a way to say something funny in the email to make the customer smile. If somebody mailed us to check if we got their CDs, we would check with the warehouse and reply to the email saying, Not only did we get them, but a hush fell over the room as they arrived; we all got down on our knees, and bowed to your CDs because we were so happy they were here. P.S: We love you. Nithya: I am smiling already...Is that how your shipping confirmation letter also came into being? Derek: Initially, my shipping confirmation letter was a very standard Thank you for your order. ...Order conformation details and....Thank you for shopping at CD baby. Customer name- Thanks for your order with CD Baby! We all had a wonderful celebration afterwards and the whole party marched down the street to the post office where the entire town of Portland waved Bon Voyage! to your package, on its way to you, in our private CD Baby jet on this day, October 7, 2009. We hope you had a wonderful time shopping at CD Baby. In commemoration, we have placed your picture on our wall as Customer of the Year. We re all exhausted but can t wait for you to come back to CDBABY.COM!! We miss you already. We ll be right here at http://cdbaby.com/, patiently awaiting your return. I wrote that email in 10mts and posted it on the site. The 200 people a day that bought CDs from us got that email when their CD was shipped. Thousands of people have written about it since then; Seth Godin has quoted the letter in one or two of his books. Derek: As for the squid-story, we'd actually get requests like that all the time! I think our website and email communication made it clear that we were a company that does not take itself seriously, and encouraged others to reply in the same spirit of fun. Nithya: So, the primary idea behind everything is to put a smile on your customer s face? Derek: Yeah. The single most important thing is to make people happy. If you are making people happy, as a side effect, they will be happy to open up their wallets and pay you. People who loved CD baby the most are the ones who needed to contact us for something; once they contacted us, we went from being just another website that was pretty good, to being an amazing company that they consider above and beyond cool; a company they are really happy recommending. Everybody who contacted us walked away feeling better about the company before they needed to contact us. That is why I loved what I saw on the first page of SupportBee - Customer service is the new marketing.